20 acre mini-farm with a view. Situated in a sought-after area and conveniently located to Lake Wedowee and the Georgia state line. 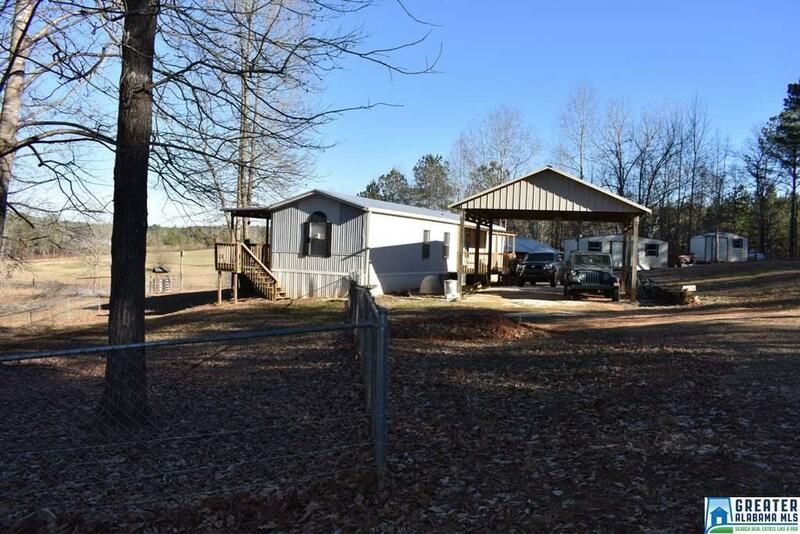 The property consists of a small fenced in pasture area perfect for a horse and the remaining land is wooded. A covered deck stretches across the back of the home and offers views of the neighboring pasture and pond. Outside the home there is a two-car carport, a barn with stalls and two storage buildings. Trails lead through the wooded area to a pond. The home offers 2 bedrooms and 2 baths with an open floor plan. The master bedroom is spacious and the master bath features a walk-in shower and separate garden tub. The other bedrooms and second bath are on the opposite side of the home. Driving Directions: From Wedowee Head East On Hwy 48. Go 9.6 Miles And Take A Right Onto Co Rd 531. The Home Will Be On The Left. Sign Is Up!